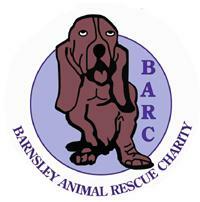 So we have decided we will look at a new logo to encompass the wider image of animal rescue that we perform. All we need now are some ideas! Perhaps a competition is in order?? Either way, please feel free to do a few sketches and post them here so we can all have a think about the bits we want and like! Aplogies for the delay in someone getting back to you. We must not be on the ball this week. We are a locally based charity in Barnsley, South Yorkshire, so unfortunately we don't have any centers or shops outside of Barnsley and the immediately surrounding areas. I have however found a website HERE thats lists many of the animal rescue charity's from all over the UK. Please take a look, as there may be one very close to you. I know they would appreciate your time as much as we would. Sorry for not getting back to you sooner Gemma. There are so many other things for me to manage i dont get to see the forum as often as Id like. You can always follow us through the website, Forum and Facebook. That way you will get the newsletters and event news etc. Sorry there is nothing nearer for you! Come on you guys! Im dying to see what your creative juices bring! Dont be scared, just rough something out and let us see it!! Problem with me is I can't draw but I'll have a go and see what I can do . I have an idea and it looks lovely in my head! I have tried to keep the main character a cartoon dog so that we can re-create his mascot like status and use him for events etc but the other three animals representative of what we do. Im actually a designer myself but very very busy, just wondering you after an image in your logo or type based??? Looks good. Its very similar to what I was thinking about but I you forgot Drabs guinea pig. I especially like the cartoon dog. » Is anyone else having issues uploading pics today?